Lochgilphead Front Green and Colchester Square are important public spaces within the heart of Lochgilphead and they are a natural focal point for the town. 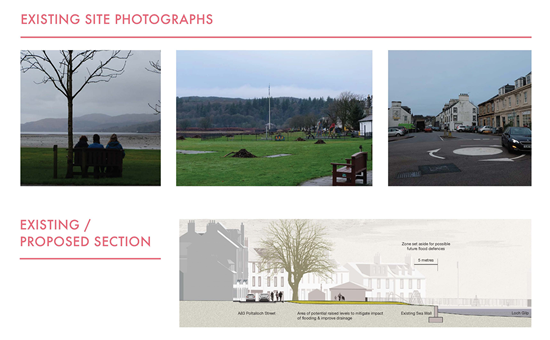 Thanks to the Tarbert and Lochgilphead Regeneration Fund Argyll and Bute Council have the opportunity to work with the local community towards delivering improvements to the Lochgilphead Front Green and Colchester Square. 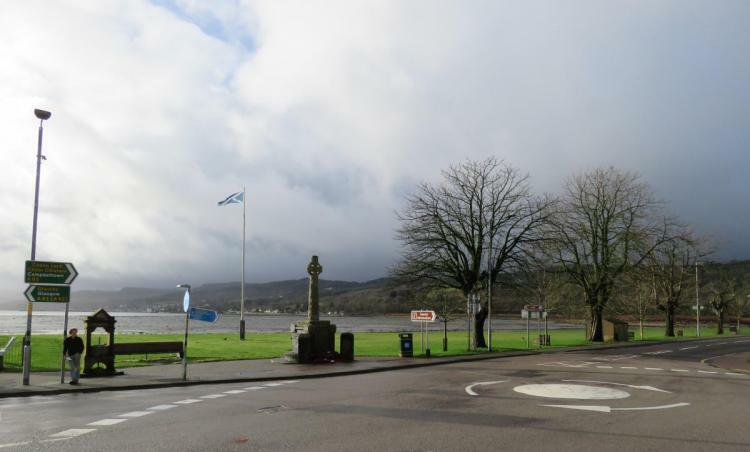 It has been a long term aspiration of the residents of Lochgilphead to see the Front Green used more by people for community events and for general recreation and enjoyment. This project aims to work with the community to help fulfil the potential of this wonderful public space within the heart of Lochgilphead. The project will be delivered in stages and this web page will provide you with up to date information on the project as it develops. During the first half of 2019, designs are being worked up in consultation with the local community. More information on the indicative design can be seen below. 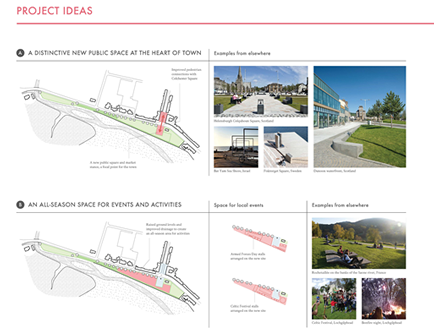 Following a great response to the initial ideas on Saturday 9th March – 200 people at the event on the Front Green and 230 commenting online – an indicative design proposal was presented for public comment at a second public event on Saturday 13th April and online (see below). The event on 13th April was attended by around 100 people, with a further 60 people commenting online by the deadline of 23rd April. If you’re interested in seeing what people said in response to the March 2019 consultation about initial ideas, please follow this link. (8mb PDF). What will happen next? A detailed design will now be produced, taking account of your feedback, a final consultation will be held in June 2019. Please keep an eye on this webpage for more information. Subject to Council approval construction work is scheduled to take place in 2020. You can still see the initial ideas that were displayed on 9th March by clicking on the images below.